Deciding the most suitable dining room set can be a very tricky task and there’s no doubt about it. Modern, classic, mid-century, art deco… No matter the style chosen, since it reflects the personality of the homeowner. In fact, are some contemporary trendy designs for the dining room which apparently can be implemented with or without additional individual idea and inspiration. That’s why Modern Dining Tables has selected today 10 awesome modern dining table ideas that you will adore. Happy scrolling! 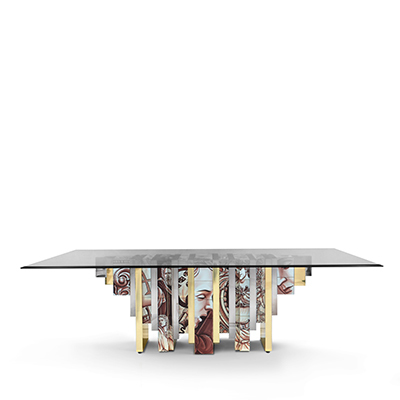 Modern rectangular dining table for 6 by Antonio Citterio for Maxalto. Black and silver color scheme is always a good choice for elegant interiors. Dining room set with a round dining table for 6. Its classic style contrasts beautifully with the modern dining chairs. Modern dining table from B&B Italia. The organic shape adds a touch of nature to this modern dining room set. 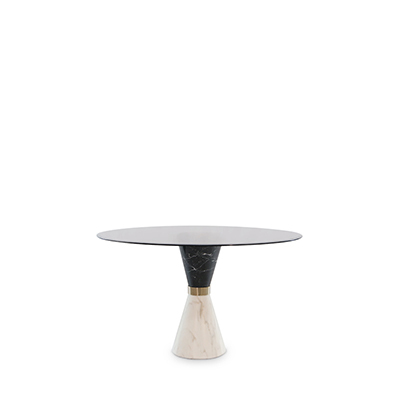 Fractured modern round dining table, Iris Dining Table with a Carrera marble top and a gold leafed metal base. Antiqued finish and a dramatic taper on the leafed base. A dining room set complete with four Elliot dining chairs in Ivory Lambskin, classic form with modern proportions. 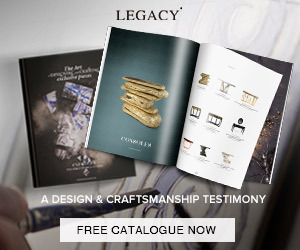 A luxurious set by the Designer Kelly Wearstler. For a Middle Eastern princess’ first apartment, designer Jean-Louis Deniot conjures a fresh, fanciful, and feminine take on traditional elegance. An 8 seater wooden dining table for modern dining room sets. 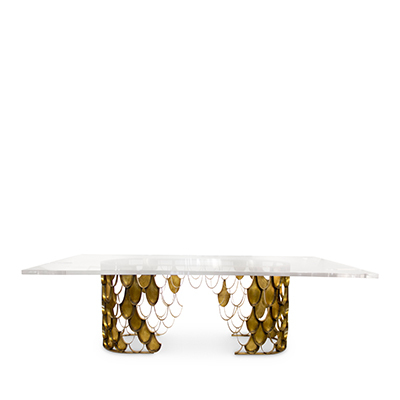 Mid-century Modern Dining Table, made by Designer Jonathan Adler. This table and chair set are perfection! Alicia Silverstone makes a point to be kind to all of the earth’s inhabitants. So you probably won’t be surprised to hear that she’s also gung-ho about being eco-friendly and “green”. Here you have a unique dining table. The dining room’s Adriana Hoyos’ Caramelo chairs in a dark wood finish and upholstered in taupe linen surround a black walnut slab table from Custom-Bilt Cabinet & Supply. The custom-height stools are wrapped in impala hide. Pendants made from recycled bicycle parts are from Carolina Fontoura Alzaga in Los Angeles. What do you think about this great selection of Modern Dining Tables for your home? Let us know in the comment section below. Help us to keep our blog up to date with quality content. Your feedback helps us to improve. 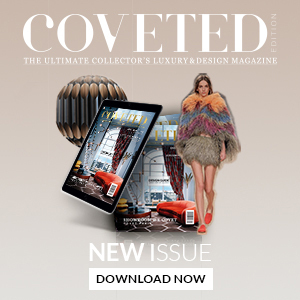 And do not forget to subscribe our Newsletter all over the internet!